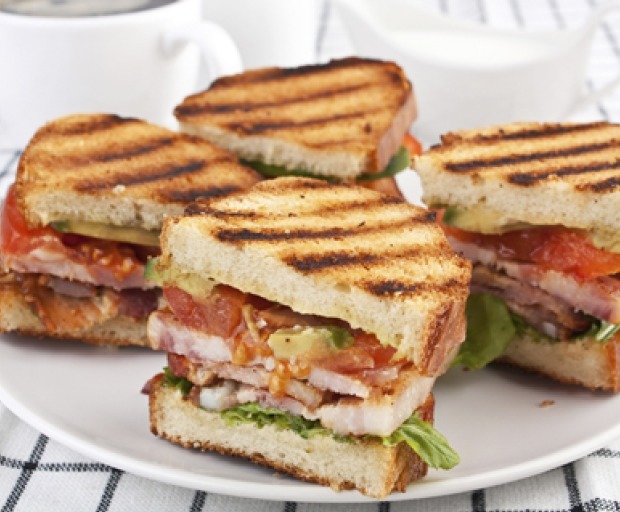 Swap that traditional, carb-filled BLT for our healthier version, which will be kinder to your waistline in the long-term. Omit the white bread in favour of whole-grain or lettuce leaves and pack with tomato, rocket, and other vegetables for extra crunch. Grill the bacon and bread on a lined tray for 5 minutes or until crispy. Wash and dice the tomatoes, then prepare the lettuce and rocket. Rub the bread with garlic and olive oil, then add the avocado, cos lettuce, bacon, tomato, and rocket before topping off with some cracked black pepper. 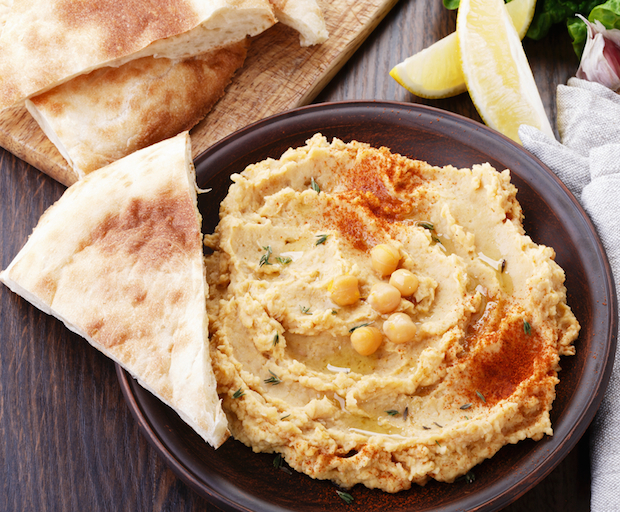 Hummus is a middle eastern dip or spread, made mostly from chickpeas. It is high in iron and Vitamin C and makes a great, healthy snack for kids and adults. You can serve with pita bread as a dip, use it on sandwiches, eat with falafel or even with carrot and celery sticks. In a food processor, puree the chickpeas, garlic, olive oil, lemon juice, tahini, cumin, and ¾ teaspoon of salt until smooth and creamy. Add 1 to 2 tablespoons water as necessary to achieve the desired consistency. Transfer to a bowl. Drizzle with olive oil and sprinkle with the paprika before serving with flat bread. Love a burger that satisfies your junk food craving but is actually good for you? We all do! Here’s the recipe that will make you feel like a burger queen. 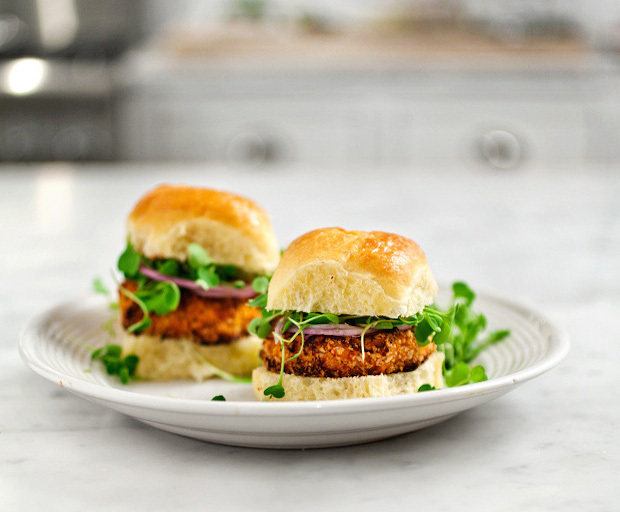 Hamburger fillings: avocado, onion, arugula – whatever you like! Peel and bake sweet potato, then mash in a large bowl. Crumble firm tofu with your hands, into bowl of mashed sweet potato and combine with a fork. Using hands, mould mixture into patties. Put breadcrumbs or Panko on a plate and coat the outside of each patty with crumbs. Bake patties for 15-20 minutes or until edges are brown and crisp. You could also pan-fry the patties, however, you run the risk of them falling apart. Looking for a quick and easy lunch idea which won’t take hours to prepare? Bruschetta is a filling meal or snack which allows you to add your favourite toppings, and is a tasty variation from the classic tomato recipe. Cut the recipe in half if you want to try this delicious meal as a snack throughout the day or night. Preheat your oven’s broiler (or grill) to 180ºC or 350ºF. Then spread a thin layer of butter (or even avocado if you wanted a healthier alternative). Then arrange the slices of bread on a tray lined with baking paper. Cook bread for 1-2 minutes or until lightly toasted, then leave out to cool down. Chop up the strawberries and arrange on each piece of bread. Then pop them back into the grill for an extra 3-5 minutes or until golden brown. This will caramelise the entire dish without completely melting it down. 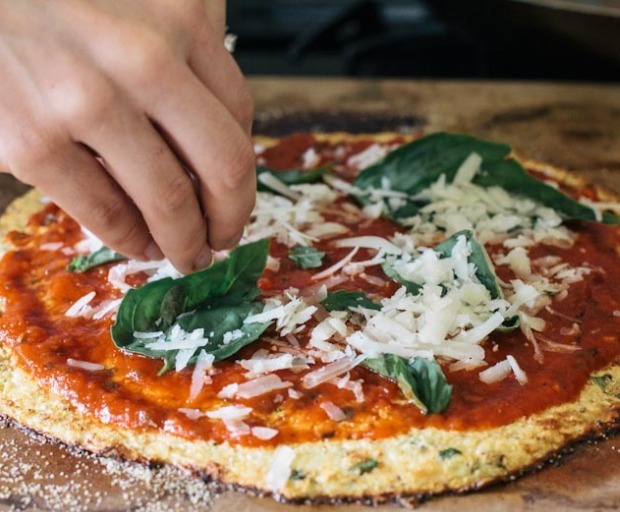 Looking for a healthier alternative to the classic pizza recipe? A cauliflower base is an ideal since it is a low carbohydrate alternative – great for those who wish to cut down on gluten or grain-based foods. Finish with your favourite toppings to make the pizza unique and tasty. Chop up the cauliflower into fine pieces then pop into the food processor. This will help to break it down further and prepare it for the base. Place the cauliflower into a small bowl, then into the microwave for 8-10 minutes. Cover with a lid to avoid spills. Drain to remove any excess water, and then press down with a wooden spoon. Then combine the lightly whisked egg, and half of the parmesan cheese with the cauliflower. Preheat the oven to 210ºC (or 410ºF) and line a pizza tray with baking paper. This will avoid the chance of the base sticking to the tray. Then press the cauliflower mixture well onto the tray and bake for 20-25 minutes or until golden-brown. Finally spread the passata over the entire base, then sprinkle with your favourite choice of toppings. In this case the olives, chorizo, thyme and remaining ingredients before baking for another 7-10 minutes. Not a day goes by when we’re not using coconut oil, whether it be for skin, hair, or in the kitchen. Here are some of our favourite ways to cook with coconut oil. Start your weekend with a healthy fry-up! Cook your sunny-side ups in coconut oil, they won’t stick to the pan and it gives the eggs a delicious flavour. Forget butter on your homemade popcorn, melt coconut oil and pour over a bag of freshly-popped microwave popcorn. Sprinkle with salt, herbs or parmesan and shake. Yum! Make the most of summer fruit by turning them into a tropical fruit smoothie – with coconut oil. 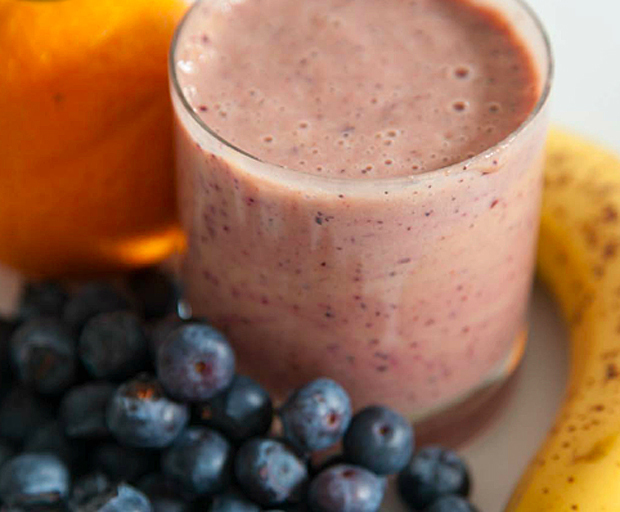 Add a tablespoon to mango, berries and papaya for a delicious superfood smoothie. Start your curry base in coconut oil instead of vegetable oil, and you’ve already added a stack of flavour. Simply sauté garlic, ginger and onions in coconut oil, then added toasted spices like cumin, coriander and turmeric, and you’ve got the base to an amazing curry! Try this Asian cabbage salad: finely slice wombok (Chinese cabbage), cherry tomatoes, cucumbers and carrots and add to a bowl. Melt 1-2 tablespoons of coconut oil and stir together with a few drops of fish sauce, soy sauce and finely sliced chills. 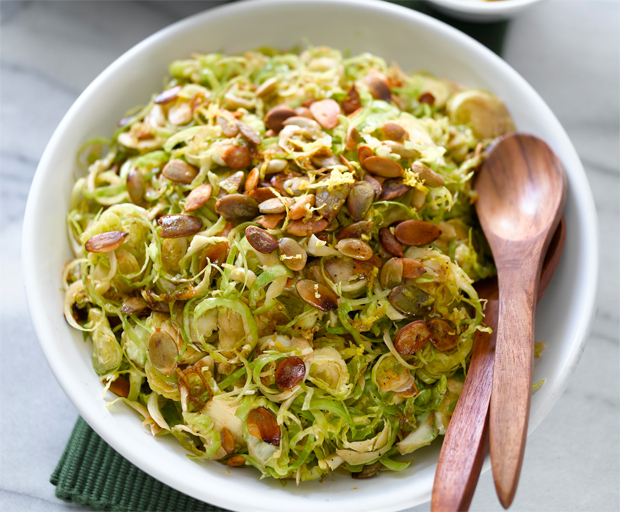 Pour over the cabbage salad. Sprinkle with sliced almonds. What are your favourite ways to cook with coconut oil? With kids about to go back to school, you want to make sure they have a healthy lunch but one that they’ll enjoy too. Accredited practising dietitian Kate Di Prima shares her best lunch box tips to keep you and the kids happy. 1. Plan to cook extra at dinner so there are dinner leftovers for sandwich and wrap fillings. 2. Pre-cut fruit and salad vegetables (score mango, slice peach, peel slice carrot, chop cucumber) and wrap in plastic wrap or store in containers in the fridge. 3. Pre-slice cheese to reduce the need for kids to use sharp knives. 4. 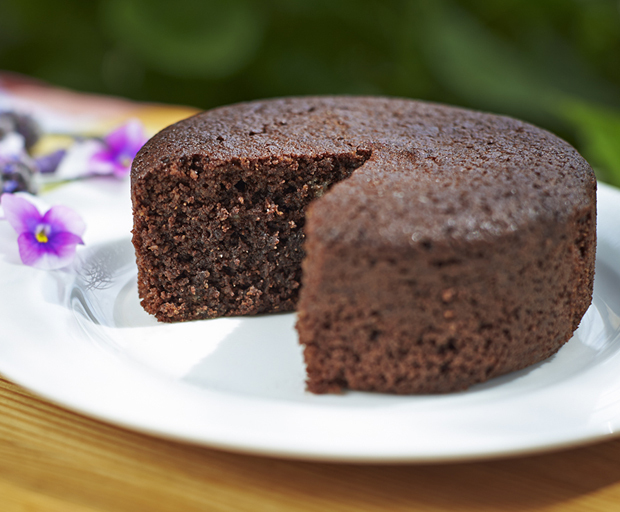 Bake at home on the weekends and store items in an airtight container or wrap individually in plastic wrap and freeze. Baking at home is also a great way to secretly include more fruit and veggies in the lunch box. 5. Buy yoghurt and custard tubs in 100-125ml ready to grab portion packs. 6. To reduce the need for plastic wrap, purchase small containers that can fit in the lunch box and be washed out at the end of the day. What are your kids’ favourite school lunch recipes? Share your lunch box ideas in the comments! Forget hair of the dog: Juice Master Jason Vale shares his ultimate hangover juice recipe – perfect for the silly season! Mixed berries, fresh banana, low-fat live yogurt, fresh OJ… and a little stroke of the head. A little worse for wear? Too much of the amber nectar? Feeling like your head is about to explode? Never fear, Recovery Angel to the rescue! This hangover helper is one of the most popular smoothies at our Juice Master Juice ‘n’ Smoothie bars, so if you are out and about, or too hungover to actually make it yourself, come and see us and we’ll make you one! 1. Juice the orange and pour into the blender. Add all of the ingredients and blend until smooth. 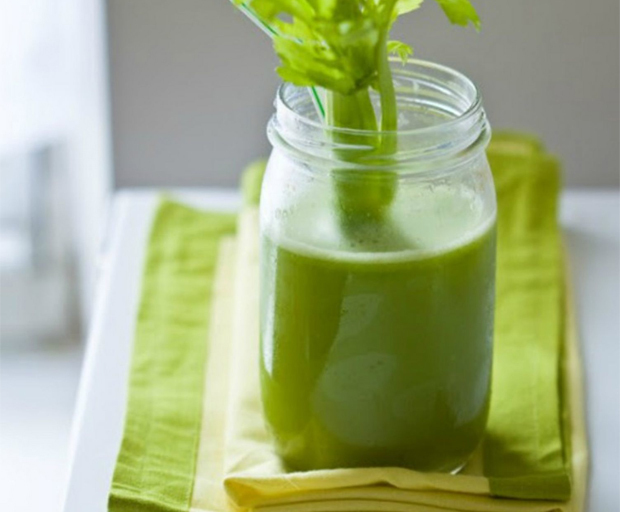 If you wish to make this in super-fast time, you can get some fresh non-concentrate orange juice and pour into the blender with the other ingredients – this saves cleaning the juicer! Juicy Note: When you feel your head pounding after a night on the drink, most of what you are feeling is blood trying to pump through a dehydrated brain – nice! How will it help my throbbing head and aching bod? The oranges are rich in vitamin C, folic acid and an array of minerals, such as potassium – all of which are depleted by heavy drinking. The natural bacteria help replenish natural bacteria in the gut, quelling any nausea or an upset stomach. The natural sugars help to raise depleted blood sugar levels, and the organic water flowing through nature’s finest fruits will re-hydrate your system. Who doesn’t love nachos? But this addictive corn chip snack is laden with calories and fat. 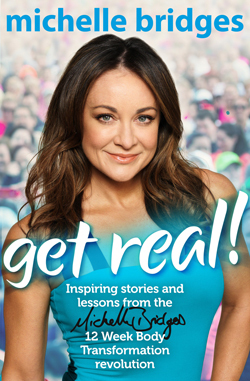 Luckily The Biggest Loser’s Michelle Bridges shares a recipe for low calorie nachos that tastes as good as the real thing. Try this for a guilt-free snack. Nachos? No worries! 1. Preheat the oven to 180°C (160°C fan-forced). 2. Cut the mountain bread into small triangles and place on a baking tray. Bake for 5−10 minutes or until crisp. 3. Lightly spray a frying pan with olive oil and place over medium heat. Add the onion and garlic. Cook, stirring often, for 2−3 minutes or until the onion is soft. Add the chilli powder and cook, stirring, for 1 minute. 4. Add the celery and cook, stirring occasionally, for 5 minutes. 5. Add the mince and cook, stirring with a wooden spoon to break up any lumps, for 3−5 minutes or until browned. 6. Stir in the lentils and canned tomatoes. Simmer over a medium−low heat for 8 minutes or until most of the liquid has absorbed. 7. Combine the fresh tomato, avocado and coriander in a bowl. 8. 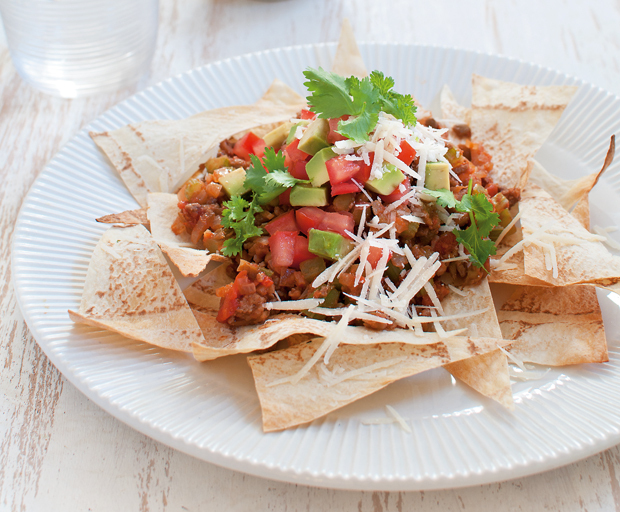 Assemble the mountain bread crisps on a large plate and top with the beef mixture, salsa and sour cream. 9. Sprinkle with the parmesan to serve. This delicious quick dinner recipe comes from Deb Perelman’s Smitten Kitchen food blog, where it has become a bit of a cult classic in just a few months. And for good reason. This is going to become a dinner staple recipe (it has for me). This one-pot recipe couldn’t be easier to make and is a real 30-minute meal. If you’ve always wanted to try farro, or want to eat more of it but are looking for new farro recipes, this is the dish for you. It’s a healthy dinner but feels luxurious. You simply add farro to a pot, throw in a few basic ingredients (as Deb says, who doesn’t have an onion and some tomatoes that need to be used up?) and you have an easy dinner that is much more than the sum of its parts. The farro cooks in its own delicious stock of garlic and tomatoes, the onions become soft and sweet, and it’s finished with a glug of good olive oil and a showering of parmesan. This is one of those dishes where it’s worth dusting off that expensive gift bottle of olive oil that you never use, as you’ll really taste it as the seasoning at the end. Even better, this recipe is a blank canvas for other flavours and ingredients. I like to throw in a handful of rocket or baby spinach in the last minute of cooking just until it wilts. Have a few loose mushrooms rolling around the fridge? Slice and add them. Throw a fried egg on top. Not sure about farro? Use couscous. And leftovers make a great next-day lunch idea. 1. In a medium cast-iron pot or saucepan, add the water and farro while you prepare the other ingredients. 2. Add each ingredient to the pot as you finish preparing it: thinly slice the onion into quarter-moons. Thinly slice garlic cloves. Halve the cherry tomatoes. Add salt, pepper flakes (to taste) and 1 tablespoon olive oil to the pot, and set a timer for 30 minutes. 3. Bring uncovered pot (you won’t need a lid) up to the boil, then reduce to a gentle simmer, stirring occasionally. 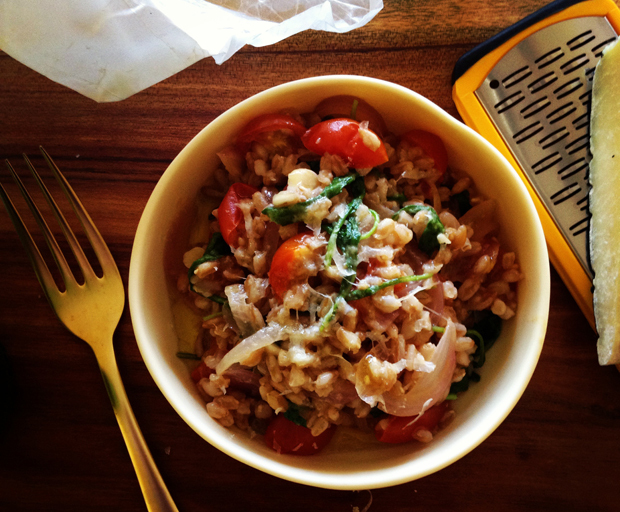 When the timer rings, the farro should be perfectly cooked (tender but with a pleasant chew), and the cooking water should be almost completely absorbed. Check for seasoning. If the farro is still hard, keep it simmering for another 5 minutes. 4. Serve with a glug of your best extra-virgin olive oil, basil leaves and shavings of freshly-grated parmesan. What’s your favourite one-pot meal? We all love pork cutlets, but sometimes they can get a little boring. Give them the sweet and sour treatment – but forget those gluggy sauces you remember from your take-away. It’s easy to recreate those flavours with natural ingredients! 1. Preheat oven to 180°C fan-forced. 2. Combine five spice, pepper, oil and salt in a shallow dish. Coat pork cutlets in marinade. and cover loosely with foil. Allow to rest for 5 minutes. 5. 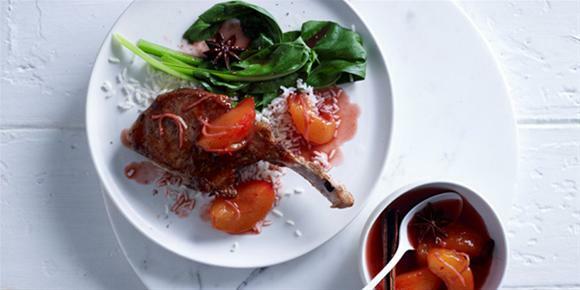 Serve pork with plum sauce, broccoli and steamed rice. Which Asian take-away favourite would you like to see get a healthy makeover? An avocado melt is the perfect easy dinner for the start of the week. Try our roasted mushrooms and corn version, or add your favourite vegetarian fillings for a healthy twist. 1. 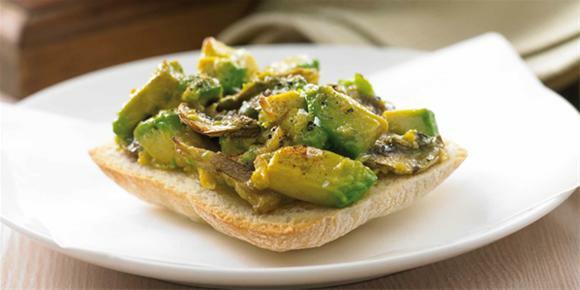 Combine mushrooms, avocado, corn, shallots and egg in a bowl and season with salt. Spread mixture evenly over 8 panini halves. 2. Place on a baking tray in an oven preheated to 180C for 10-15 mins or until golden brown. 3. Sprinkle with paprika or pepper to taste. Amongst the eating, drinking, family get-togethers and sales shopping, it’s important to maintain your health over the holidays. Keep these tips from Hopewood Health Retreat naturopath Jenny Colless-Buhn in mind and you’ll feel happier and ready to enjoy the festivities. 1. Eat lots of fresh fruit and vegetables Think colour when eating fruit and vegetables. Eating a variety of different colours gives your body a wide range of valuable nutrients like vitamin A, C, potassium, magnesium and fibre. 2. Limit processed foods, sugar and saturated fats Most of your energy comes from the quality of the foods you eat. Natural foods will ensure that you’ll feel more energised and more able to keep on top of your busy Christmas plans. 3. Drink water In Australia, Christmas can be one of our hottest periods of the summer. Don’t fall into the trap of spending the day racing around, not thinking about your hydration levels. Drink plenty of fluids (not sugary ones!) to keep yourself hydrated and you will concentrate better, look better and feel better. Quick tip: Start your day with 25% lemon juice in warm water – a great source of vitamin C! 4. Don’t overindulge All those delicious offerings can be tempting, but you’ll enjoy it more if you keep your portions small. Focus on the taste and not the quantity. Too many sweets and rich food can be hard for your body to process, resulting in headaches, stomach pain, and a feeling of sluggishness. Be sure to practice moderation when it comes to food and your body will thank you. 5.Have healthy snacks handy Why not freeze some berries into ice cubes and add them to your drink or have as an ice block? There are many beautiful fruits in season now—mango, nectarines, peaches, apricots—why not slice some up and arrange them artfully on a snack tray? 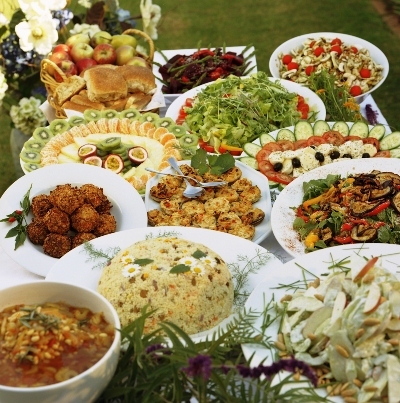 Quick tip: When preparing a meal, aim to have 60% salad on your plate. 6. 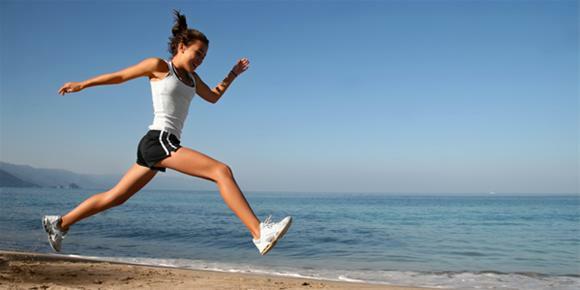 Keep up your regular exercise plan Regular movement is important to keep the body healthy and well tuned. Exercise increases the metabolism, gives a feeling of wellbeing and is known to give you more energy. You’ll find those tired, stressed feelings can disappear with a simple walk or yoga stretching. 7. Be sure to get enough sleep and relaxation You can’t handle all the tasks of the Christmas period along with your normal work and lifestyle if you don’t give yourself the chance to rest. Practising meditation or listening to a relaxation tape for 15 minutes can do wonders to restore your vitality. Quick tip: Limit your caffeine and alcohol intake to ensure a good night’s sleep. 8. Remember what the holidays are all about As the list of things to do grows longer and time grows shorter, it is easy to lose sight of what is important to us at this time. Don’t forget what Christmas and the holidays mean to you. Whenever you feel overwhelmed by all your holiday preparations take a moment to yourself and put everything back in perspective.